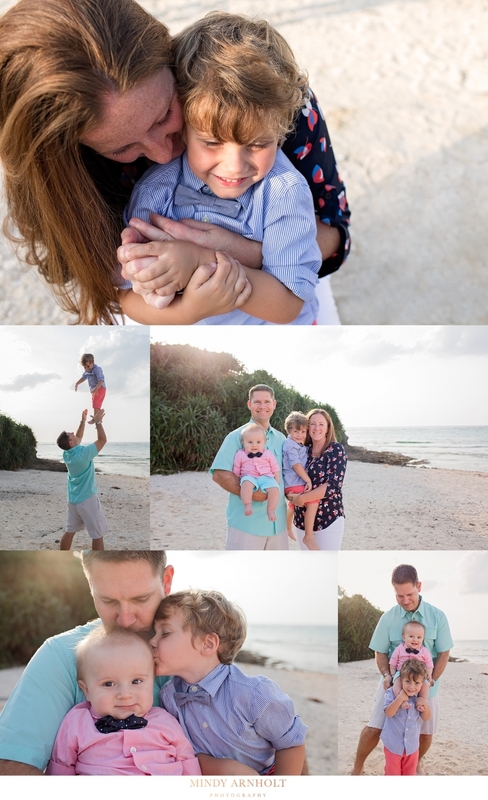 Family Photography: Dare I Ever Say Easy? “He’s still just a little bit cranky,” his mom warned me when we met at the beach. “He got a good nap, so he should be pretty good, and we’ve bribed him with gummies- so we’ll see.” I love family photography. I’ve talked about it before. As much as I love yoga photography and couples photography, there is just a certain challenge when it comes to photographing little ones and capturing the unique dynamic of each family. There’s a certain unpredictable, unscripted, realness that just feels like a drug to me. I NEVER know what a session is going to hold, and as much as that might make mamas nervous (almost all of them prep me on what to expect before we start shooting)… I love it. Family sessions are never boring. Sometimes the best behaved kids are just having an off day and only tickles are going to get them to smile. Sometimes the super shy ones come out of their shells and almost give me a performance. Sometimes Little Miss Independent turns into a snuggle bug, and sometimes the cuddlers just want to play. It’s because every family has a different vibe that it always feels so fresh to me. I’ve sung songs, and done dances, and blown bubbles, and resorted to downright silliness and potty humor to get kids to look up from the sand. 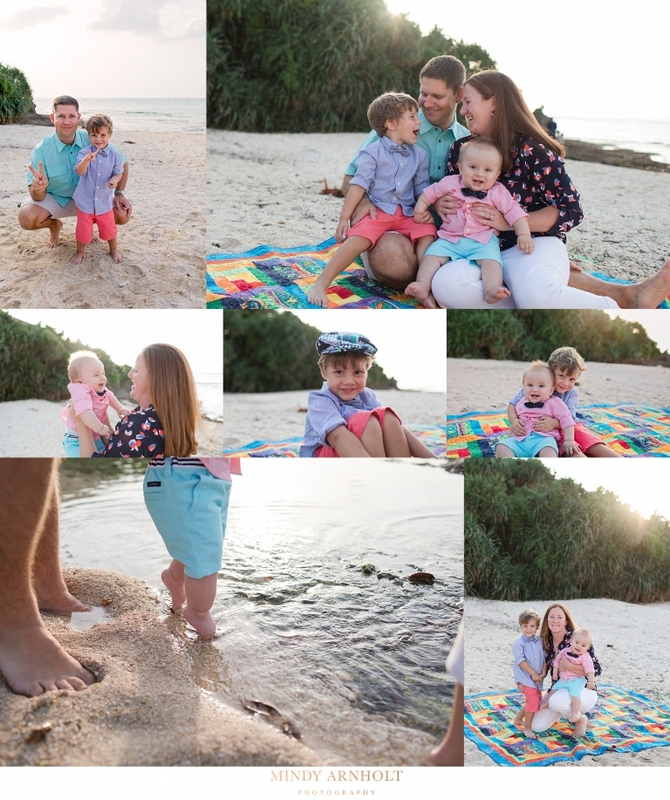 Family photography is always a challenge and it’s always fun. Every once in a while though- it’s just surprising. Breck was playing with his ball about 30 yards away from us while we got everything ready to start shooting. He knew he could play until it was time for pictures, but when mom called his name he was supposed to come and give us “sweet smiles”. After chatting for a few minutes she called. He grabbed his ball and started running for us with a giant “sweet smile” on his face. And for the next hour- it stayed right there on his face. 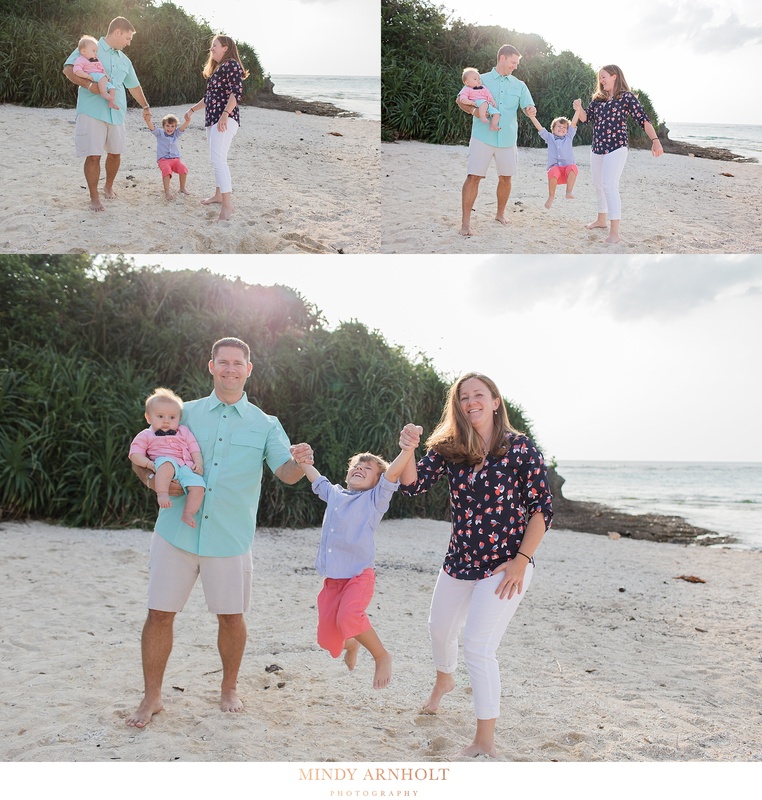 Mindy Arnholt Photography is currently serving Okinawa, Japan through September, 2017. But if you’re looking for a Spokane family photographer, please don’t hesitate to reach out!! I have already started booking sessions beginning October 1, 2017.